When? A student who does not pass all sections of the THEA test or approved alternative test is required to enroll in a developmental course. A student is required to be in continuous remediation, except during mini-session terms, until passing the THEA test. What? A student who does not pass one/any section of THEA or an approved alternative test is required to enroll in at least one of the corresponding developmental courses based upon placement scores. Completion? A student who enrolls for a second time in a developmental course, after failing the first time, must enroll in a study skills course concurrently. If a student fails a developmental class twice, the student is required to meet with a tutor on a weekly basis during his/her third enrollment. If a student fails a developmental class a third time, he/she will not be allowed to enroll again. Students are free to pursue THEA-waived coursework. 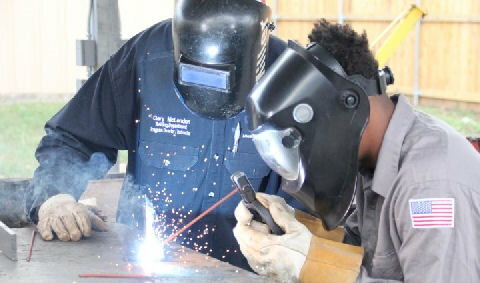 A student is not required to enroll in a developmental course after passing the THEA test. Students who have successfully completed the developmental sequence but have not passed THEA may enroll in a "B" or better course. A student must place into a college-level course or successfully complete the developmental sequence that precedes the required college-level course before enrolling in that course. Attendance? Students enrolled in developmental courses are expected to attend regularly and complete all assignments and testing. 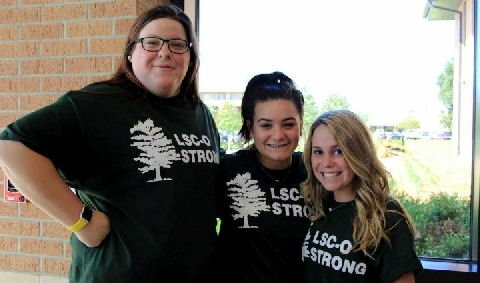 Students who are absent 6 (six) times within one semester will be dropped from the course and risk dismissal from LSCO. In addition to the attendance policy, instructors may drop a student from a developmental course for failure to do assigned work and/or testing. A diagnostic placement test in mathematics is required for all students who are THEA required and/or enrolling in math for the first time to determine the course most appropriate for the individual's skill level. Results of this test are used for placement into the appropriate level math course. While most students will take only one exam, it is possible that a few may need to take additional exams to determine placement. The math tests take 60 minutes each, and test results will normally be available immediately. Although maintained in records for student advising, scores do not appear on the student transcript. Successful completion of THEA requirements does not eliminate the requirement for math placement testing. Students who have received passing grades in a math course may continue with the next course in the sequence. Students who have failed or dropped math will re-enroll at the level indicated previously. Math faculty or the division chair can provide additional information about math placement. College policy requires that all full-time students register for freshman English until credit for six (6) semester credit hours is earned. This rule also applies to students who take DWRT classes. A student who does not successfully complete a DWRT class must repeat the course until a satisfactory grade of "A," "B," or "C" is earned before enrolling in the next course in the sequence. In addition to placement in developmental writing, some students will be placed in developmental reading (DRDG) as well. 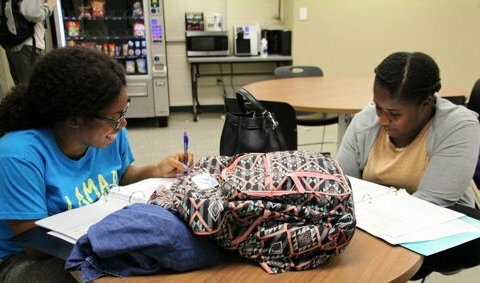 All THEA-required students will be required to take reading placement tests upon entry to Lamar State College Orange. "Q" if they are THEA exempt and choose to drop the class prior to the penalty date. No grade points are awarded for developmental courses. The grade of "F" will be calculated as part of the grade point average.